Following the pipeline explosion and fire this evening, the City of Prince George activated its Emergency Operations Centre and is prepared to deliver emergency support services in conjunction with the Regional District of Fraser Fort George, if required. Earlier this evening, Prince George Fire Rescue Services and the Prince George detachment of the RCMP responded to the scene of the fire off of Landooz Road in an area just outside of City limits. The flow of gas has since been shut off and the fire has been extinguished. Residents of the area were temporarily evacuated as a precaution and can now return home if they wish. 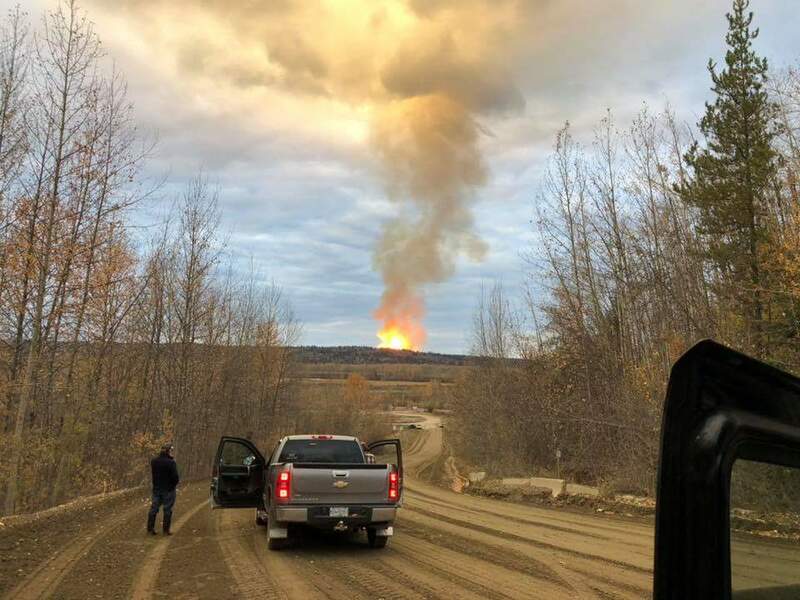 PRINCE GEORGE, BC: On October 9, 2018 at approximately 5:30 PM, Prince George RCMP responded to a call of an explosion north of the city near Landooz Road and the Shelley Reserve. Residences within several km were evacuated as a precaution. The evacuation zone has now been reduced to one km and residents previously evacuated can return home. An Enbridge pipeline has exploded north of Prince George. Photo by L. SLATER. This incident appears to have been an explosion involving an Enbridge natural gas pipeline. There are no injuries and no reported damage other than to the pipeline itself. The gas supply has been shut down. There is no indication of a cause at this point in time. Investigators will conduct an examination of the scene and a further update will be forthcoming tomorrow.